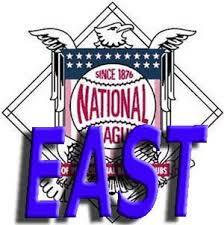 Can Anyone Supplant the Nationals as Division Champs? 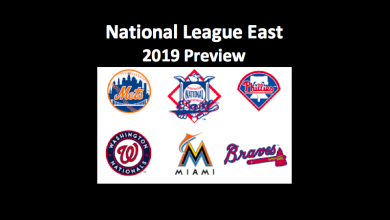 Our NL East 2018 MLB preview offers insights into each of the five teams in this division. 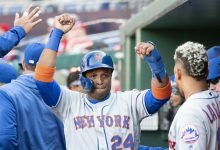 The Washington Nationals look ready to rock this division once again, as the New York Mets and Atlanta Braves are both projected to put in improved performances from last season. 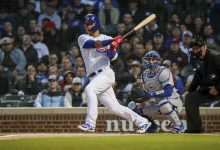 The Philadelphia Phillies should also do better than they did last season, although we don’t expect them to be competitive for another year or so. 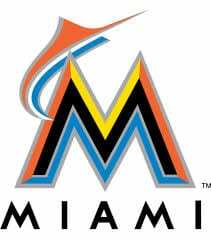 The Miami Marlins are the team that we expect will limp through the season, dealing with various deficiencies. Here’s a quick look at each time. 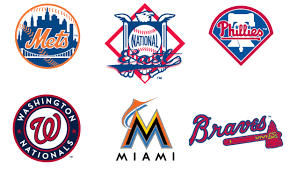 You can connect to our complete analysis and projection for each NL East team by clicking on the appropriate link. The Braves should win more games this season than they did last year. 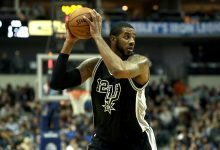 In fact, we think for the first time in three season they will lose fewer than 90 games. This is a young team with a dedicated manager, and a good front office. The farm system is filled with quality prospects. Both pitching and offense has to find some consistency. We are not expecting much from the Miami Marlins in 2018. In fact, we think they will win fewer games than they did last season. Although things look bleak for this season, we do anticipate good things happening for this team down the road. The Marlins new ownership, which is led by Derek Jeter, wants a winner. Although slugger Giancarlo Stanton went to the Yankees in the offseason, the team is focused on restocking the farm system and building from the ground up. They have a top-notch coaching staff that’s led by manager Don Mattingly. Along with various other problems last season, the New York Mets had some major healthy issues. Included on the DL was much of the starting rotation, including ace Noah Syndergaard. The group is healthy and the offense brings some fine power to the plate. Joining the team is first-time helmsman Mickey Callaway, who many consider to be a rising star in the managerial ranks. 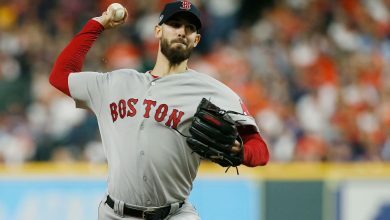 Callaway did wonders with the Indians as a pitching coach and is noted for being a guy who uses analytics well and connects nicely with players. Things are looking up for this team, and they could break .500 this season. The Phillies have a starting rotation that is young and talented. If they can find consistency and stay healthy, these guys could put up some great numbers. The offense was lacking last season, and Philadelphia did spend some cash to boost it. Their fielding was ranked eighth in the majors. One major addition is Gabe Kapler as the new Philly skipper. Kapler, who comes to the team with one year of minor-league coaching experience, is a savvy baseball guy who works well with players. When Kapler was in the majors as a player, he worked and played the game hard. He’ll be devoted to making this team into a winner. The Washington Nationals rotation includes three guys who notched 15 or more wins last season. Those hurlers are righty Max Scherzer. Who won his third Cy Young last season, righty, Stephen Strasburg, and lefty Gio Gonzalez. Washington’s roster is filled with guys who can hit for average and drive in runs, including Anthony Rendon and Daniel Murphy. Both had 90-plus RBI and batted over .300. Together they smacked a total of 52 homeruns. Dave Martinez, a rookie manager, replaces veteran Dusty Baker. 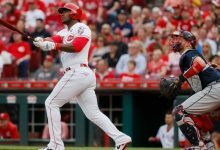 Martinez is an exceptionally smart baseball who handles players well and uses analytics effectively. 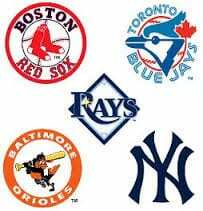 Below are our projects for our NL East 2018 MLB preview. You can read our individual, in-depth analysis of each team by clicking on the appropriate link. 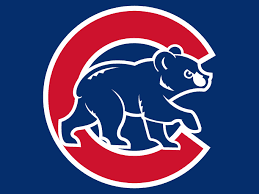 To read our NL Central projections, please click on this link. 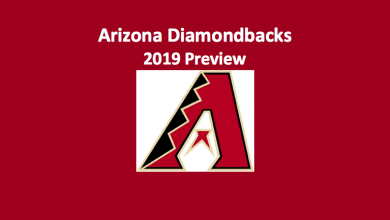 You can read our NL West analysis here.